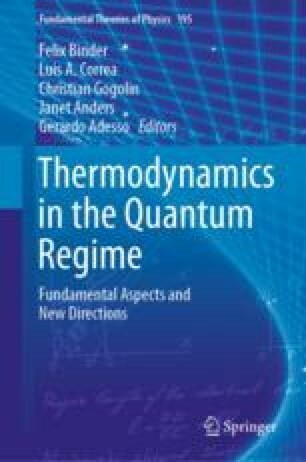 Quantum thermodynamics and quantum information are two frameworks for employing quantum mechanical systems for practical tasks, exploiting genuine quantum features to obtain advantages with respect to classical implementations. While appearing disconnected at first, the main resources of these frameworks, work and correlations, have a complicated yet interesting relationship that we examine here. We review the role of correlations in quantum thermodynamics, with a particular focus on the conversion of work into correlations. We provide new insights into the fundamental work cost of correlations and the existence of optimally correlating unitaries, and discuss relevant open problems. We are grateful to Faraj Bakhshinezhad, Felix Binder, and Felix Pollock for helpful comments and suggestions. We thank Rick Sanchez for moral support. We acknowledge support from the Austrian Science Fund (FWF) through the START project Y879-N27, the Lise-Meitner project M 2462-N27, the project P 31339-N27, and the joint Czech-Austrian project MultiQUEST (I 3053-N27 and GF17-33780L).